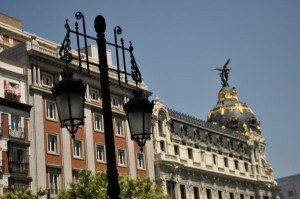 Madrid is a vibrant metropolis with much to see and experience. Take a look inside my guides and you will find the information to visit the city by yourself. However, nothing substitutes the personal touch of our customized tours! Below you will find five example tours of the city. For a better viewing experience, download the tour itineraries and explainations in Google Earth format (Note that Google Earth needs to be installed in your computer. It can be freely downloaded here).